Apples have pectin fiber, polyphenols, and quercetin that regulate bowel movements and blood sugar levels, respectively. In the past decade or so, public awareness has been on the rise regarding health. As a result, people are becoming more health conscious and are aiming at leading better lives. The mantra to staying healthy is to “eat balanced meals.” According to the World Health Organization, a balanced meal can give the body all the essential nutrients it needs to keep it protected against certain non-communicable conditions like obesity, diabetes, cardiovascular diseases etc. Talking about obesity, some simple carbohydrate side dishes can be safely included in the diet on the path to achieving the goal of losing weight. Apple spinach salad is a good choice, as spinach is a powerhouse of nutrients, including vitamin K, vitamin A, vitamin B2, iron, copper, folate, and manganese, to name a few. 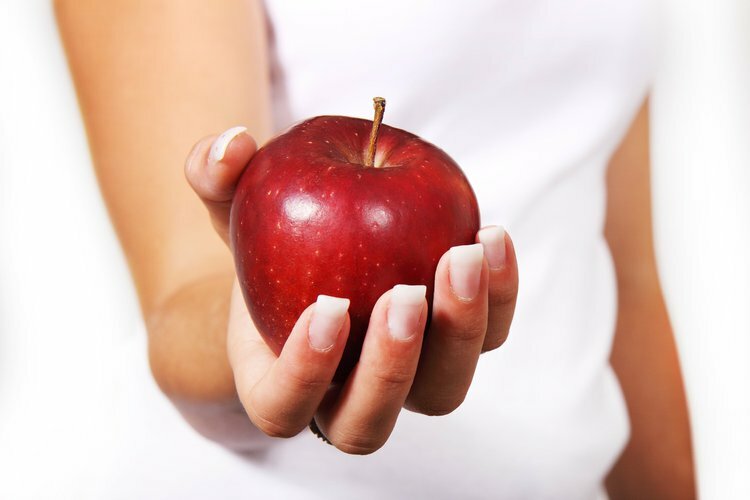 Apples have pectin fiber, polyphenols, and quercetin that regulate bowel movement and blood sugar levels, respectively. Apple adds a sweet and tart taste to salads as a bonus. Broccoli salad is another side dish packed with nutrients like vitamin C, beta-carotene, and sulforophane. It is rich in fiber and low in fat and calories. It adds texture to a salad, supplies powerful anti-oxidants and brings other therapeutic values as well. Stuffed mushrooms make a delicious side dish. Mushrooms are rich in antioxidants like selenium and ergothioniene that prevent cell damage and protect against heart disease and cancer. Squash is bountiful in the fall and winter months. Baked winter squash is a healthy alternative to fried foods. Winter squash is the richest source of plant-based antioxidants such as omega 3’s and beta-carotene that strengthen the immune system and protect the body against the flu and colds. It is evident that there exist several substantial and healthy options for side dishes’ replacement that will provide the proper nutrients one needs for betterment of health. One should work out a meal plan based on one’s nutritional needs in collaboration with a dietitian, instead of following diets that are trending or are in vogue. Next time, if you have a choice, consume a healthier low carbohydrate side dish instead of high calorie side dish like mashed potatoes or French fries. "Health Benefits of Broccoli." Healthy Eating. Web. 16 Mar. 2015. <http://www.healthyeating.org/Healthy-Eating/All-Star-Foods/Vegetables/Article-Viewer/Article/91/health-benefits-of-broccoli.aspx>. "Healthy Living." Side Dishes. Web. 16 Mar. 2015. <http://healthyliving.tamu.edu/recipes/side-dishes/>. "Spinach." Spinach. Web. 16 Mar. 2015. <http://whfoods.org/genpage.php?dbid=43&tname=foodspice>. "Squash, Winter." Squash, Winter. Web. 16 Mar. 2015. <http://www.whfoods.org/genpage.php?tname=foodspice&dbid=63>. "Stuffed Mushrooms - Dana-Farber Cancer Institute | Boston, MA." Stuffed Mushrooms - Dana-Farber Cancer Institute | Boston, MA. Web. 16 Mar. 2015. <http://www.dana-farber.org/Health-Library/Stuffed-Mushrooms.aspx>.